You are at:Home»Things to Do»22 Hot Events: School Open House, Book Fair, Dance Workshop, and More! 22 Hot Events: School Open House, Book Fair, Dance Workshop, and More! Did you know we have a family events WeChat group? Join two hundred other internationally-minded families for the latest information on what’s going on in Beijing. Send an email to webeditor@beijing-kids.com with your WeChat ID. Please note that readers should confirm with each organizer if events are canceled or scheduled as planned. All ages. Come and see how children aged 1-5 learn and play at The British School of Beijing Shunyi. They provide their students an environment that enables them to thrive and progress at the right rate and to be happy in their first school experience. Experience their classrooms in action, talk to their teachers, see their newly refurbished Early Years area, dedicated swimming pool and playground for Early Years, their sports dome and other facilities too. Free. 9-11am. Check out www.bsbshunyi.com/EarlyYearsOpenDay for registration. Contact 8047 3558 or admissions@bsbshunyi.com for more information. The British School of Beijing Shunyi campus. Adults. Turn your everyday Chinese into Business Chinese with their four week course. If you want to take your Chinese language ability, as well as your business itself, to the next level, this is definitely the course for you. Before beginning this course, you need to speak conversational Chinese (pre-intermediate/HSK 2 or 3). All teaching will be conducted in Chinese. The course is suitable whether you read Chinese or not. You don’t need to be able to write Chinese. 7-9pm. Sanlitun Soho. Adults. The BCCC Education Forum Social is an opportunity for education professionals from all countries to meet, share ideas and create useful connections that benefit professional and organizational development. This event is suitable for all levels of management and leadership in schools, universities, educational services, Edtech, government and NGOs. All welcome, no RSVP necessary.6.30-9pm. Xian Bar’s Terrace. Adutls. 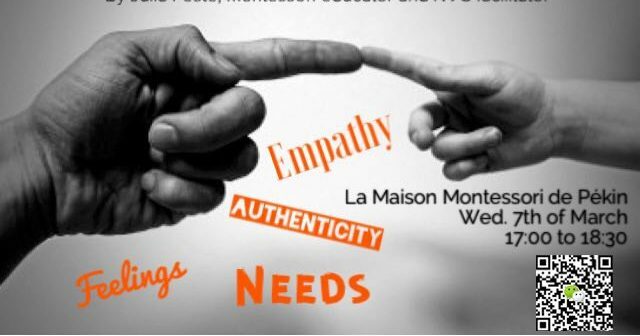 La Maison Montessori de Pékin invites you to discover this process and explore how it can not only bring a deeper connection between you and your child but also be of use for your whole family and everyday interactions for more harmonious and peaceful relationships. Julia Feste, both Montessori educator and NVC facilitator, will guide your understanding of this method through practical exercises based on real life situations. This workshop will be followed by more in depth weekly training sessions. 5-6.30pm. To register or for more information, please add Wechat ID : juliafeste. La Maison Montessori de Pekin. All ages. 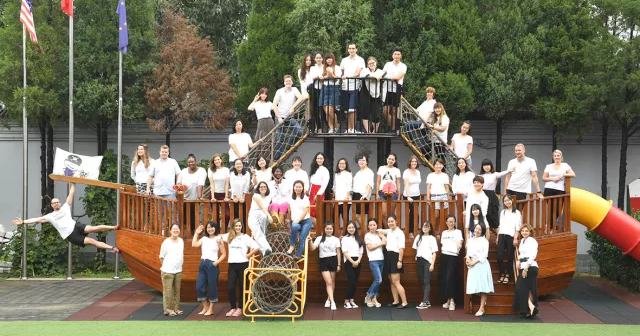 Discover the Western Academy of Beijing (WAB) difference at this intimate open house event, where parents and children will enter classrooms to see the innovative ways that the school implements the IB PYP. WAB will get to know your child and tailor their learning experience specifically to their needs in order to maximize their potential. Free. 8.45-11.30 am. Check the website for registration. Contact 5986 5588 or wabinfo@wab.edu for more information. Western Academy of Beijing. Adults. Find out more about the heroic women of Beijing. From revolutionary female writers to a righteous, vengeful assassin, and from the world’s most powerful pirate to the last Empress of China. Explore the backstreets of Beijing’s hutongs with your foreign female guide, and find out how Beijing’s most famous women were anything but subservient. 2-3.30pm. Book your tours in advance (138-1777-0229, info@newmantours.com, www.newmantours.com). Newman Tours Beijing. All ages. Come and see this wonderful show performed by The British School of Beijing Shunyi’s Primary students. “Robin and the Sherwood Hoodies” takes the audience on a journey through medieval England, splattered with shocks and surprises, crazy characters, and comic capers. Enjoy the catchy, show-stopping songs and a wonderfully witty script! There are three performances: March 9 (Fri) at 6pm, March 10 (Sat) at 2pm and 6pm. Free. Contact 8047 3588 or marketing@bsbshunyi.com for more information. The British School of Beijing Shunyi. All ages. This NCPA production for kids is something for the whole family. Top opera talents, including NCPA resident soloists and chorus members, bring the story of Snow White and the Seven Dwarves to life. 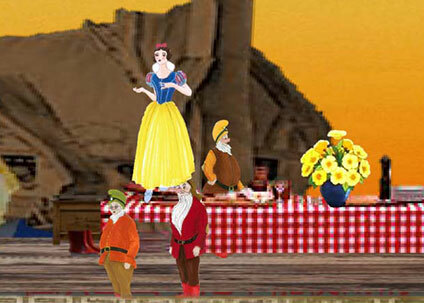 Kids will love this clever interpretation of the classic fairy tale. The language of the performance is Chinese. RMB 180-300. 7.30-9.30pm. Check the website for more information or to buy tickets. National Centre for the Performing Arts. All ages. Come and attend Beijing City International School Roundabout Charity Book Fair. Choose from thousands of second-hand books for all the family: fiction, special interest, art, travel, coffee table books and more. Paperbacks from RMB 10, kids books from RMB 1. All proceeds will benefit children in need. Free. 10am-3pm. Contact 8771 7171 for more information. Beijing City International School. Adults. A two-way process of reaching mutual understanding, in which participants not only exchange (encode-decode) information, news, ideas and feelings but also create and share meaning. In general, communication is a means of connecting people or places. In business, it is a key function of management – an organisation cannot operate without communication between levels, departments and employees. 9am-5pm. Contact hello@beijingmindfulnesscentre.com for more information. Beijing Mindfulness Centre. Adults. 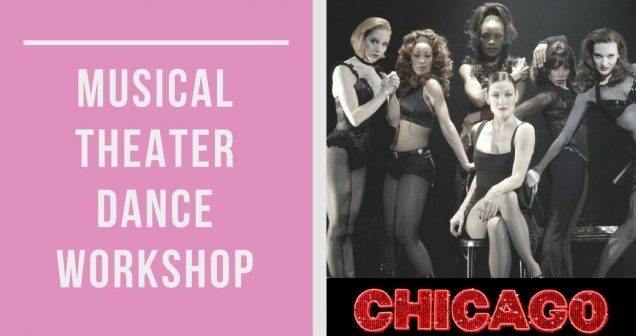 Come join their musical dance workshop where you will learn the choreography for the musical “Chicago”. Workshop starts on March 10 at 12:30pm to 2pm and continues every Saturday till April 7 2018. During the last class, a video will be filmed of the dances learned. Get out those fishnet stockings, put on some red lipstick and let’s jazz away! No prior dance experience required. This workshop is suitable for all levels! 12.30-2pm. Contact wechat: uptownyoga or telephone：186 1189 4423 for more information. Ms. Uptown Studio. All ages. 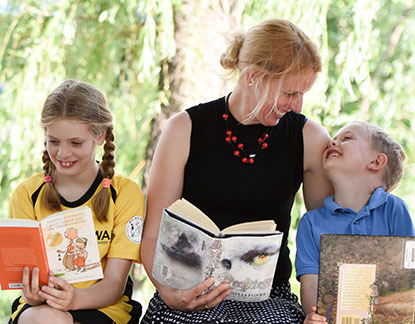 WAB opens its doors and welcomes all prospective parents and students to explore the classroom and see the unique ways in which they implement the IB MYP and DP programmes. Your family will have the chance to tour the school, sit in on classes, speak with counselors, teachers, and administrators. Free. 8.45am-noon. Check https://www.wab.edu/fs/pages/1466 for registration. Contact 5986 5588 or wabinfo@wab.edu for more information. Western Academy of Beijing. All ages. Would you like to know more details about House of Knowledge? There’s no better way to see first-hand how House of Knowledge can inspire your child’s academic and personal journey. The Open Day provides an opportunity for you and your family to meet their principal, teachers, tours their school and learn about their curriculum. Chaoyang Park Campus: March 13th, 9:30-11:30am (Victoria Gardens, 15 Chaoyang Park West Road); Shunyi Campus: March 14th, 9:30-11:30am (North gate of Quanfa compound, 18 Maquanying Road). Contact 400 650 7747 admissions@hokschools.com for registration. All ages. 3e International School invites prospective Grade 1 (6 years) to Grade 6 (12 years) parents to visit and tour their new 3e Elementary campus, to understand more about 3e’s dual-immersion bilingual program. With small class sizes and individualized language and learning support, 3e Elementary program’s half day English, half day Chinese and social French environment (in collaboration with the French International School (LFIP)) ensures students receive support and attention to become confidently bilingual and bi-literate within a global community. Free. 12.30-2.30pm. RSVP admissions@3einternationalschool.org or 6437 3344. 3e International School. Aged 2-5. Come and join Hello Future at a Composting Workshop with fun activities for children age 2 to 5, Meet other Green People & businesses (food and daily life), making a difference. They are excited to welcome Zero Waste Beijing, who will offer a composting workshop at their Maquanying campus in Chinese/English. Everything needed will be provided, you don’t need to bring anything with you! Dress code: Wear something Green! RMB 100 (with bin), RMB 150 (without bin). Please sign up before March 13. Hello Future Flagship Campus. All ages. Bringing up a young person in today’s world can have many challenges for parents. Active Parenting of Teens gives parents skills and strategies that help increase communication and cooperation with their teenagers, while also decreasing areas of potential conflict. This entertaining and informative program uses activities and discussion to show parents ways to raise independent, cooperative, and responsible young people. Free. 8.30-10.30am. Check https://yoopay.cn/event/87847351 for registration. Yew Chung International School of Beijing. Active Parenting is a programme for parents designed to develop and build the skills necessary to enhance family life and manage the challenges that children and parents face in this ever-changing world. This workshop will cover topics such as: nonviolent discipline that really works; opening up lines of communication—before they get clogged; teaching responsibility, courage, and other important character traits; encouraging school success in seven steps. Free. 8.30-10.30am. Check https://yoopay.cn/event/86242032 for registration. Yew Chung International School of Beijing. All ages.The exhibition features the autobiographical works of Mr. Wang (epithet, Changdao), the memories of more than eighty years since 1935: his Colorful Life — the anti-Japanese war, the liberation, the life in Academy of Fine Arts and the Cultural Revolution. Free. 10am-6pm. Visit the website for more information on the exhibition. Space Station. All ages. Minimal materials required, students to provide their own (brush, paper, ink, paint, felt). The teacher can help with the purchasing. Chinese painter Huang Lin (Lynn) will demonstrate Chinese calligraphy, Chinese ink painting techniques for birds, flowers and landscapes. Students will be able to bring home a piece of art after each lesson. Kid’s Class: Saturdays 10am-noon; 2-4pm; Adult’s Class: Mondays 10am-noon. Contact WeChat : chenshihhan for more information and registration. Riviera Clubhouse. All ages. 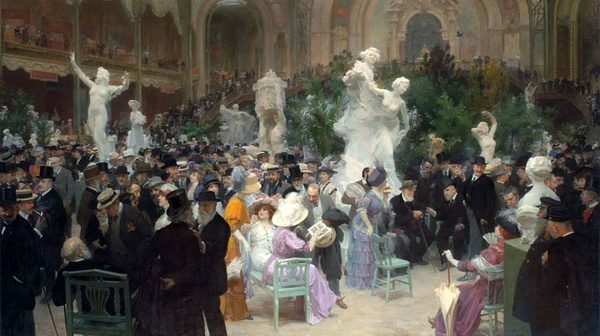 French artists of the nineteenth century were inspired by the ideals of the enlightenment, and produced graceful, neoclassical art. 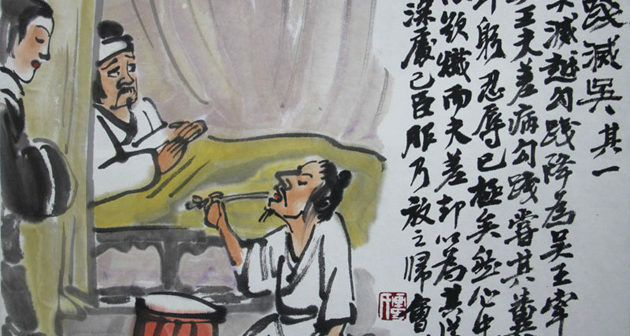 See the fruits of French art from the French Revolution to the First World War at this exhibition of Salon paintings at the National Museum of China.RMB 50 (adults), RMB 20 (students). 9am-5pm. Chek the website for more information. The National Museum of China. All ages. This Indian cooking class will unravel the secrets of delicious authentic Indian recipes, and to show you techniques for getting the most flavor out of each dish. Learn various types of snacks like samosa, potato vad, Indian sweets like chickpea curry, biryani, paneer, chapati, and many more. What you can get: Ingredients provided; takeaways of your recipes.Tuesday-veg (1.30-2.30pm); Friday-mixed (1.30-2.3pm); Saturday-mixed veg or non-veg recipes (10-11am). Contact Sarika (wechat id Sarikadhami) or 131 4142 2287 for registration and more information. All ages. Troys Team Saber classes – dramatic classes designed to teach you all sword systems and styles from a Galaxy far away, combining martial art movement and conditioning! 10-11am. Contact WeChat mayelam8 for more informatioin. Yuanyang Guanghua International. All ages. A great live show with lots of fun for the little ones. It’s a cold winter on Mossy Bottom Farm. Shaun and his friends from the Flock are having great fun playing around their favorite tree in the Sheep’s field. The Farmer decides to chop the tree down. Will the Flock be able to save their beloved tree? Come and join in Shaun’s Big Farm Adventure to find out! RMB 180-880. 10.30am-noon. Check the website to book your tickets. OCT Theatre.